A big trend among airlines is to roll out new, fancy business class products to woo the premium business traveler, who seems to be out and traveling once again as the globaly economy chugs along to (hopefully) brighter days. But what about the huge majority of passengers who fly in economy? Luckily some airlines are throwing coach class passengers a bone (like Delta’s recently announced improvements to their transcontinental economy and Economy Comfort cabins), but sadly there are still plenty of uncomfortable seats out there. Some economy seats can be real knee-crushers, even if you are not tall like me! For this week’s Top 10, I wanted to look at some of the most excruciating economy cabins. I tried to include major carriers, but feel free to chime in with your experiences on exotic carriers like Turkmenistan Airlines and even Air Koryo, the official carrier of North Korea. Whether in terms of pitch – distance from any point on one seat to the exact same point on the seat in front or behind it – width, entertainment options and other amenities, these will make you feel like your flight lasts a lifetime. 1. Spirit Airlines: With an average of only 28 inches of pitch and no recline (they call them “pre-reclined”, but they took out the mechanisms so they’d weigh less), you are likely to feel cramped whatever flight you are on, with the seats begin described as “very uncomfortable. 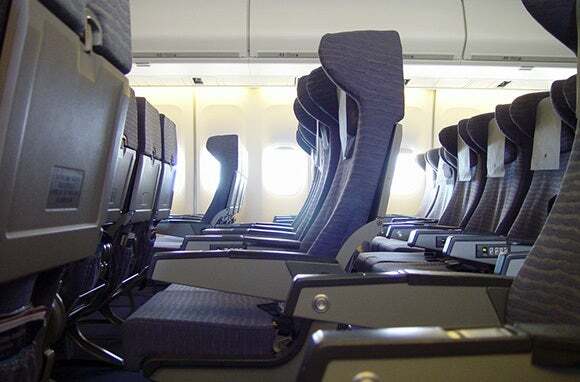 No leg room at all,” by one recent reviewer on SeatGuru.com, plus “the service was terrible.” The airline has now become infamous for its outrageous fees and strict no refund policy. It no longer offers a toll free 1-800 number, instead it is a not-free 801 area code, costing $0.05 to $0.18 per minute from a landline. There is also a $3 charge for bottled water, a $10 fee for printing out your boarding pass. plus $35-100 for a carry-on bag. 2. 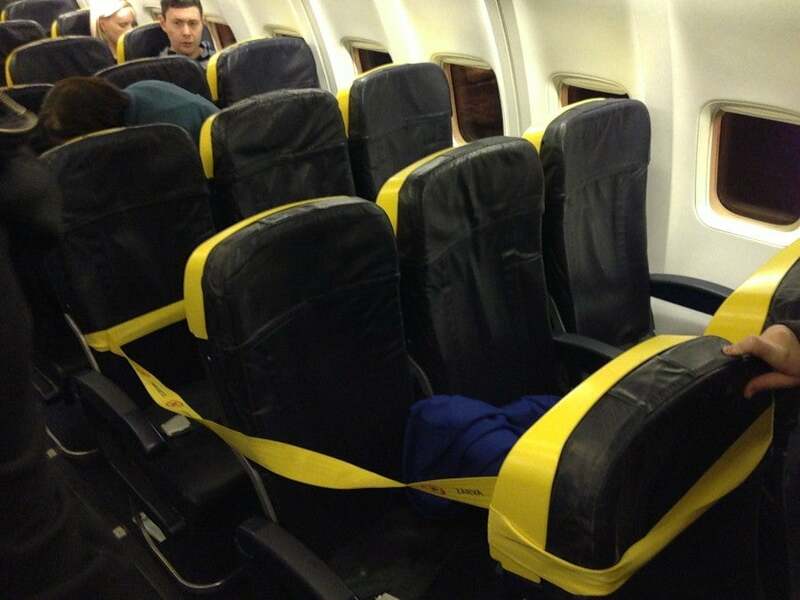 Ryanair: European no frills carrier Ryanair is notorious for its cattle-like boarding area and ridiculous cost-cutting such as plans to reduce toilets from 3 to 1, even talks in the past of charging to go to the bathroom! My own nightmare experience flying with them from Scotland to Dublin caused me to ask Is Ryanair The Worst Airline In The World? From charges of up to $96 to print out boarding passes and a militant policy about carryon bags, to being made to wait in the cold on the tarmac and a cabin that resembled a crime scene, and add in no reclining seats and or seat back pockets – the entire trip was a comedy of errors. While Ryanair has never had a single crash or fatality in its 23 year history (although its operational safety standards often come under scrutiny), customer service-wise, I think it is a disaster of an airline and I’m happy I don’t have to fly them on a regular basis. I would also beware of EasyJet (A319 and A320) and Airberlin (A319 and A320) because they have as little as 29 inches of pitch in their economy seats as well. 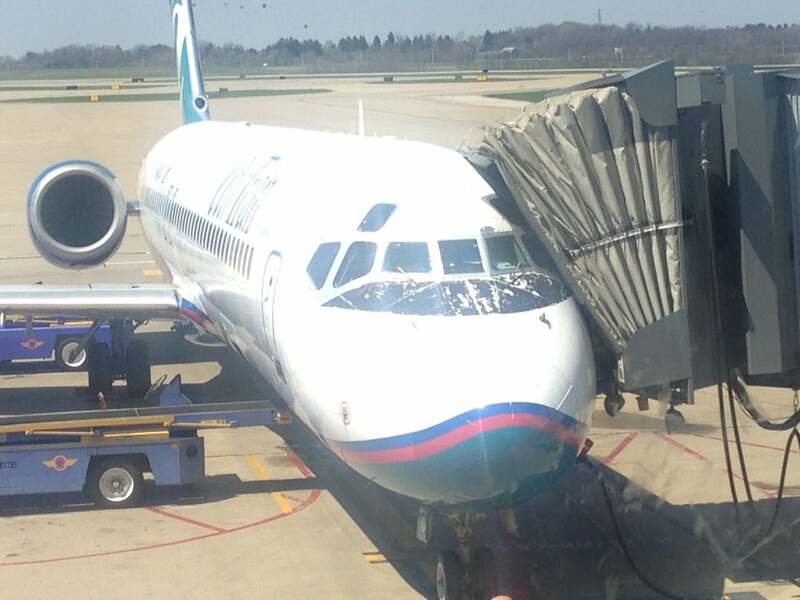 It is a tight squeeze on the AirTran Airways Boeing 717. 3. Airtran B717: AirTran has repeatedly been named one of the worst economy options in terms of room with the B717 only having 30 inches of pitch. There is no laptop power source or personal TV on short haul flights but some do have WiFi. Some reviewers on Routehappy.com have complained that they didn’t get to sit with their spouses even when booking together (especially when done through Southwest), and that there is a lack of overhead space even on flights only 2/3 full. I recently flew AirTran in Business Class as a last resort from Pittsburgh to Tampa, and although it wasn’t as bad as I feared in terms of comfort, there was no running water – I can’t remember when I was last on a plane where that was the case – but thankfully it was a relatively short flight so it wasn’t too much of a problem. It did, however, mean that the toilets didn’t flush and there were no hot beverages like coffee and tea. 4. 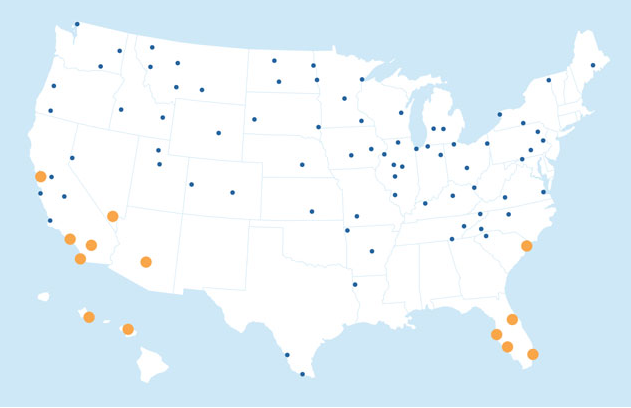 Allegiant: This primarily West Coast-based airline actually flies all over the country and has hubs in Florida, California, Arizona and Hawaii, as well as servicing airports in lesser-trafficked destinations like Provo, Eugene, Missoula, Columbus and Branson. Too bad that the seats on their McDonnell Douglas aircraft don’t recline at all! Even though they only have 30 inches in pitch and are just 17 inches wide, they might not be all that bad, but since you can’t lean back, some of those flights can start to feel a lot longer than they are. 5. Cape Air: Cape Air is the little airline that could, servicing cities up and down the Eastern Seaboard of the United States as well some far-flung spots in the Caribbean and Micronesia, which makes them useful for getting around to some of the smaller airports in popular summer destinations. Too bad I can’t fit onto their planes without some sort of winch! 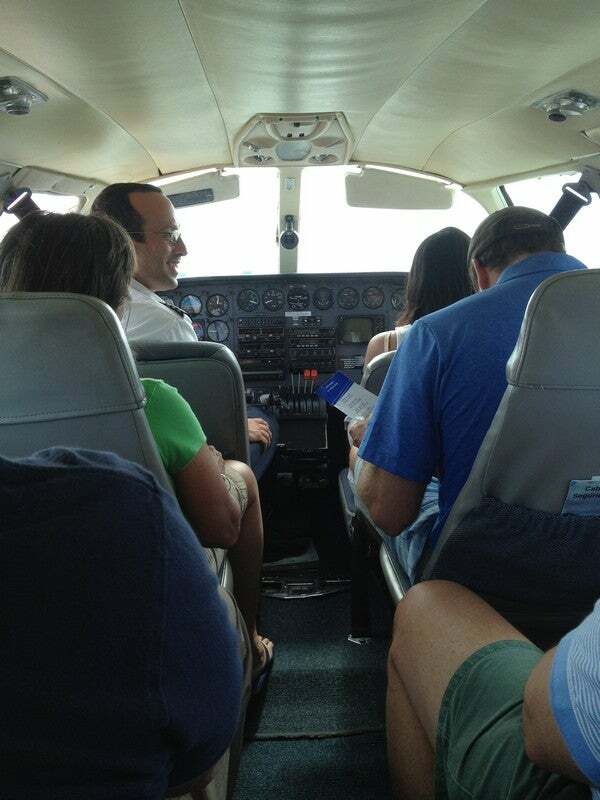 I don’t want to pick on them too much since this is a small airline that operates small airplanes purposely, but some of their aircraft would just not accommodate me, including some Cessna 402’s where the seats are just 17 inches wide, 27 inches apart and don’t recline at all. Oh, and you may get weighed before getting on board because they have strict weight guidelines.. time to start dieting! 6. Hawaiian Air Inter-Island: Although Hawaiian operates some lovely new(ish) widebody jets with personal TV screens in all seats and even basic meal service on its long-haul routes to points as far as New York, Los Angeles and Sydney, when it comes to their inter-island service from Honolulu to the other Hawaiian islands, the seats leave a little more to be desired. I love Kauai and Maui, but sometimes it’s not possible to find decent direct flight options to airports on the islands, so stopping through Honolulu and taking a little plane is a necessity – but hopefully one you can avoid. The airline’s inter-island ATR-42’s have just 50 economy seats in a tight 2 x 2 configuration and each seat is just 17 inches wide with about 30 inches of pitch. I’d have to fold myself in half to even try to squeeze in. Even on its larger B717’s, seats are a mere 18 inches wide with just 30 inches of pitch – and don’t expect any entertainment here, though you will get beverage service. That said, you’re only looking at a 45-minute flight from Honolulu to pretty much anywhere else in Hawaii, so you won’t be stuck in these seats for long. 7. American Airlines Transcontinentals: As part of its new airline-wide makeover, American Airlines plans to phase out the aging fleet of 767-200’s it operates on its transcontinental routes and replace them with new A321’s with lie-flat business and first class products…eventually. But for now, we’re all still stuck flying the fleet’s old workhorses and for those who are seated in economy, that means six hours of tensing up and trying not to rub elbows with neighbors thanks to the paltry 17 inches of width each seat affords, and trying to take comfort in the few inches of recline that compensate for the just 31 inches of pitch each passenger gets to unfurl for these mid-hauls. Personally, I can’t wait to try out the new premium products, but for those in the back of the plane, at least you’ll get a couple extra inches in each direction to relax a little bit. Delta’s A319’s lack legroom and AVOD. 8. 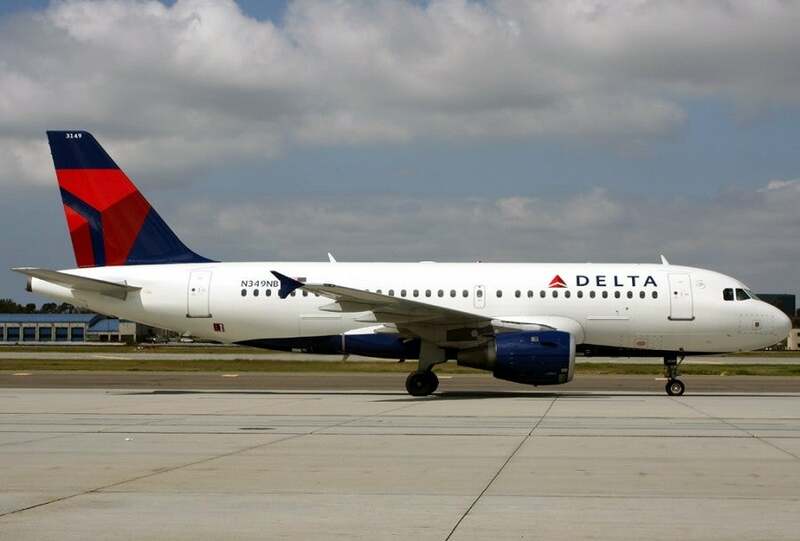 Delta: When it comes to Delta, they are generally improving their planes and enhancing the customer experience except when it comes to their A319 aircraft, which were acquired from Northwest after their merger. These planes have 96 coach seats, 14 Economy Comfort, and 12 first class seats but only offer 30 inches of legroom in coach while lacking AVOD on the entire plane, yet you can find these planes on some longer routes. However, it looks like some good news may come, according to this Flyertalk post, these planes will be getting reconfigured with slimline seats which will add more legroom as well as adding AVOD to this fleet. Let’s hope that’s true! 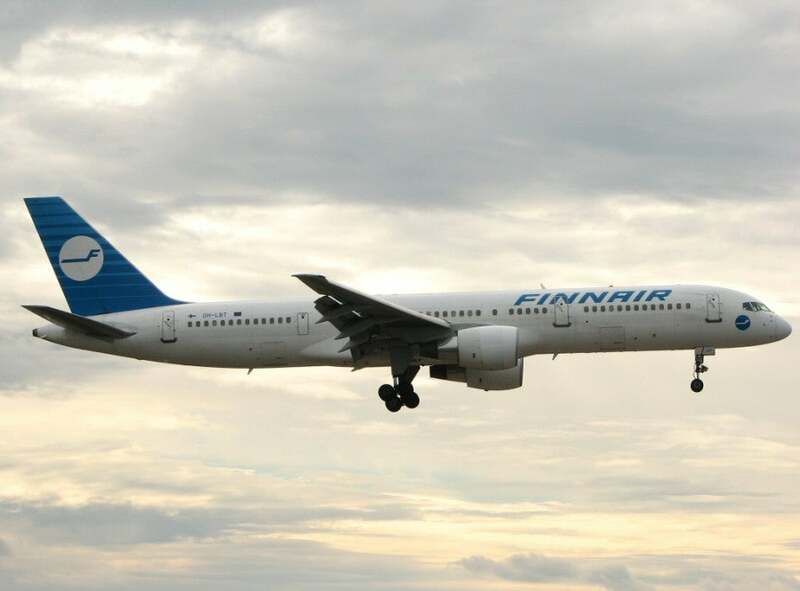 Avoid the Finnair 757 if you can – take their A319 or A320 instead. 9. Finnair: I’d actually really like to try out Finnair’s international business class (and see what the four saunas the airline operates at Helsinki’s airport are really like), but when it comes to their intra-European flights aboard smaller jets, their economy seats also drop off in size. Their Airbuses still clock in at a respectable 31 inches in pitch, though a narrow 18 inches wide, but it’s aboard the airline’s aging 757’s that you could run into real trouble since these planes have 227 economy seats crammed into them, and each is just 18 inches wide with a mere 28 inches in pitch. Hope you’re not claustrophobic!9. 10. Air Transat: Air Transat is a Canadian airline with hubs in Montreal, Toronto, and Vancouver. Flyers will want to stay clear of their A310 and A330-200 aircrafts since these both have nine really narrow seats in each row with a width of only 16.4 inches in economy instead of the usual eight narrow seats found on these types of planes. There are many great tools you can use to preview your preview your seats like Seat Guru and Routehappy. I was able to sit down with the founders of Routehappy at the Chicago Seminars last year where they went over what resources travelers can find on their site. The site rates flights according to several criteria including aircraft type, seats, entertainment, electric plugs, WiFi and on-time performance. The user-generated, more subjective criteria include crew service, food quality, the lounge experience and more. All are combined into the overall rating, though readers can search by the criteria they most care about. A whole lot more goes into a good flight than just a comfortable seat. Next time you’re cramped in a bad seat, at least you can say your flight didn’t end up like this one (aka the “Poop Plane” to Australia) where 26 people came down with the same vicious stomach bug on a 13-hour flight from Santiago to Sydney…and there were only 10 toilets on board. And in the end the most important thing is that your airline gets you to your destination safely. Putting aside the recent Asiana tragedy, there hasn’t been a fatality from a US airline crash in over four years. Compare that to the number of people killed each year on the road, or even from texting while driving, and e should all be thankful air travel is an option at all – even if the seat is cramped.